Below are Sample Clips of Black Olive Jazz's "View From Telegraph Hill" CD! 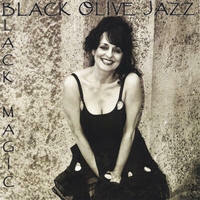 Below are Sample Clips of Black Olive Jazz's "Black Magic" CD! Black Olive Jazz' New CD, Black Magic, is now available for listening on our audio page, featuring two new arrangements by Kay Andreas! That Old Black Magic is done with a "Senor Blues" feel, with Michael Pinkham setting the beat, and Roberto Acevedo and Oliver Brown on congas; a sultry Whatever Lola Wants, features an arco bass solo by Bill Douglass, with daughter Isabel on accordion. Lenny Carlson smokes on guitar on Ellington's, Lucky So and So, Roscoe Gallo lays down soulful piano licks on Fine Brown Frame.